Winter, Lochschmidt & Co. was the company formerly located in house number 8 on Zechtalstrasse. Their old premises had been put up for sale as the company had relocated to their newly-built and much larger factory on plot number 32 of the same road. It only took a while until a new owner was found: the company of Kretschmann & Co. purchased the old factory for 8,000 Gulden on March 15th 1891 and modernized it. Kretschmann & Co. itself consisted of the former factory executive and specialist Heinrich Kretschmann and Franz Wurda, a businessman from Elbogen. Wurda acted as financial backer, but like every businessman would never turn down a good profit. Believing that he could make exactly that, he already sold the factory for 9,650 Gulden to Georg Friedrich from the town of Hartenberg on August 2nd 1892; Kretschmann himself split with Wurda and started to look for another business opportunity. Friedrich however only paid the first rate of 3,500 Gulden, exactly the amount of money he had shortly before borrowed from his sister Anna Schlesinger from the town of Neudek, thus leaving Wurda 6,150 Gulden short. Georg Friedrich was a very bad businessman and only a few months later the factory was deeply in debt, owing various people a total amount of just over 16,964 Gulden. [Note:] The year 1892 saw the introduction of a new currency, the 'Krone' (plural 'Kronen'), which was not well taken by the public for various reasons: the Krone was the first decimal currency introduced in the region, one Krone being 100 'Heller' (the Gulden consisted of 60 'Kreuzer'), which already confused many people. The other fact was that one Krone was roughly 'worth' only one third of a Gulden, meaning that prices for common items like bread seemed to increase - a common psychological problem encountered during currency exchange is that - regardless of actual currency - people think in numbers only: one Gulden bought ten loaves of bread, one Krone only three. So if you wanted to buy ten loaves you had to pay roughly 3 Kronen and 30 Heller, perceived as being 'over three times as much than before'. In the end the Krone was used parallel to the old currency for years because many people simply did not accept it. In the following paragraphs some prices are still given in Gulden as these were stated as such in the sources I used; I did not want to transform these into Kronen as that would have perhaps caused problems because the exact exchange rates changed over the years. Friedrich was forced to abandon the factory, leaving it (and the accumulated debt) to the workers who decided to take it over under the name of Lippert, Muck & Co. on March 17th 1893. However the company was unable to stabilize the situation and the already impressive debt further increased so that the factory was put up for auction on June 21st 1894. The auction ended at a price of 13,005 Gulden, the new owner being Ernst Schlesinger, brother-in-law of Georg Friedrich. His idea was to salvage the money of his wife Anna by either leasing or selling the factory. Schlesinger at first leased the factory to no other than Heinrich Kretschmann who in the meantime had found another partner, meaning that the new Kretschmann & Co. consisted of Heinrich Kretschmann and Adalbert Hofmann, owner of a porcelain decoration studio in Altrohlau. 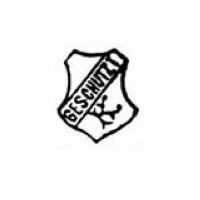 Business started off very promising and on February 2nd 1898 Kretschmann & Co. finally purchased the factory from Schlesinger for 14,500 Gulden following a modernization of the factory. 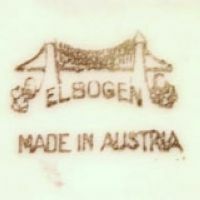 It schould be noted that during the whole period between 1894 and 1910 the factory only produced whiteware, mostly pots, which were sold to various decoration studios in Altrohlau, Asch, Budapest, Elbogen, Haida, Pilsen, Prag, Schönfeld and Warnsdorf. Over a year later, on September 12th 1899, Heinrich Kretschmann purchased the business share of Hofmann for 8,100 Gulden and continued business, around 1900 already employing 26 workers. That same year Kretschmann also acquired plot number 5 on Zechtalstrasse and had a new house built for himself there. The number of workers increased to 40 by 1904 and two further modernization steps were taken in 1905 and 1907, later followed by a larger modernization and inclusion of a mass mill in 1918. [Note:] Various sites claim that Ernestine Rokyta was the daughter of Heinrich Feiler, fact is however that she was actually the daughter of Heinrich Kretschmann. The misinformation results from an incorrectly translated passage in which the first name of Heinrich - which in the original context referred to Heinrich Kretschmann - was taken to refer to Heinrich Feiler. This is a typical translation error found especially in online translations as the whole context is torn apart, delivering stupid results. Kretschmann's daughter Ernestine was married to the porcelain decoration studio owner Heinrich Rokyta who had his studio at house number 17 on Zechtalstrasse. His studio was at that time named 'Porzellanmalerei Gebrüder Rokyta', originally having included his brothers Ernst and Richard which had both left as business was not running very well. The porcelain decorator and former Kretschmann employee Albert Stark had founded the company of Stark & Co. together with a silent partner, Heinrich Feiler from Karlsbad, early in 1910. His business was also not running very good and Stark soon was in debt, his main creditor being the Karlsbad branch of the Böhmische Escomptebank. In order to help both, Kretschmann together with the Stark & Co. company in October 1910 leased the Rokyta decoration studio. In June 1912 the Böhmische Escomptebank increased pressure on Stark, demanding at least a partial repayment of the total debt of 70,000 Kronen. Stark was unable to comply, however Kretschmann and Feiler together paid off the total debt at once, each on July 1st 1912 paying 35,000 Kronen. Due to the war, the studio was closed between November 1914 and February 1916. On March 6th 1916 Kretschmann finally purchased the Stark & Co. company share of Heinrich Feiler for 24,966 Kronen and 35 Heller, in 1919 uniting the decoration business with his porcelain factory. Kretschmann then 'sold' the whole business to his daughter Ernestine Rokyta on December 20th 1919. While the official price for this transaction was 278,315 Kronen for the factory itself and another 250,000 Kronen for machinery and additional buildings, his daughter only had to pay 50,000 Kronen while Kretschmann (with a share of 200,000 Kronen) and his son-in-law Rokyta (with a share of 50,000 Kronen) became silent partners of Ernestine. Heinrich Kretschmann died on April 13th 1922, the factory at that time employing 85 workers. His daughter inherited his company share while his granddaughter Marie Rokyta received the house on Zechtalstrasse number 5. Heinrich Rokyta was installed as factory manager and held that position until his death on May 24th 1935. The financial situation of the company was desolate at that time, mainly because of the massive changes which had negatively influenced the whole Czechoslovakian porcelain industry. In the end the complete business was taken over by the Karlsbader Vereinsbank on August 1st 1935 and Rudolf Lippert, who had taken the position as factory manager after Rokyta's death, run the factory until it was closed on June 30th 1938. Between 1940 and 1942 the decoration rooms were used by the Porzellanmalerei Johann Hoffmann from the town of Elbogen while the other buildings were used by his brothers, the timber traders Franz and Ernst Hoffmann. The decoration studio itself was inoperable between 1942 and 1945 due to the war, but continued from 1945 onwards under state supervision. It was finally closed in 1949, followed by the demolishion of the factory. Used between 1891 and 1892 as well as between 1894 and 1899, shield with ⇒GESCHÜTZT and the initials 'HK' for Heinrich Kretschmann. 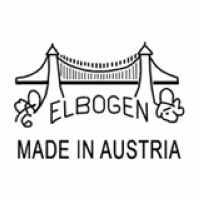 Used from 1910 onwards, depiction of a chain bridge above 'ELBOGEN' and 'MADE IN AUSTRIA'. Used from 1910 onwards, example of the previously mentioned mark.